We’re a little bit in love with paper geodes. They’re just so good looking! 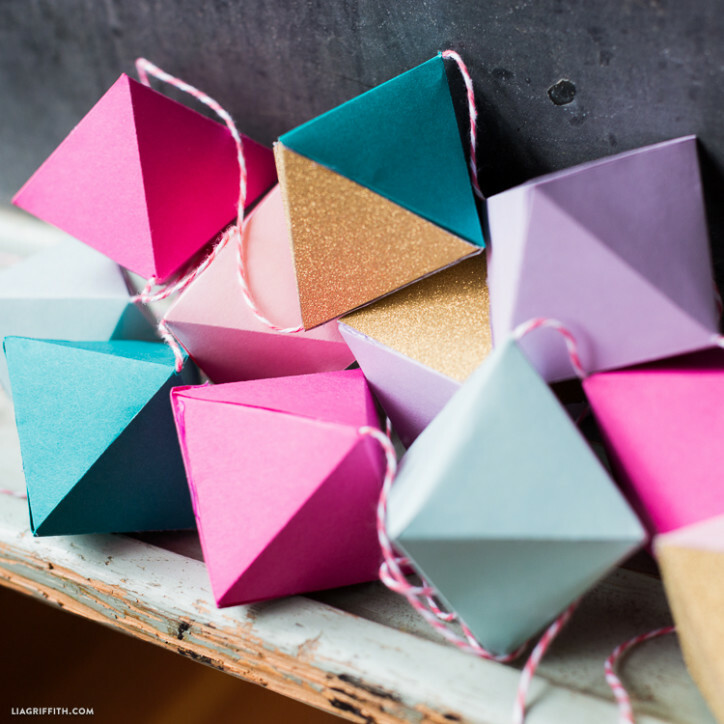 Our DIY paper geode garland was fun to make with a selection of pretty colored papers from Paper Source and a good craft knife. And you can make one at home too. Download our pattern below, print it out onto your chosen papers and cut carefully with sharp craft knife. We like to play with color and we encourage you to do so too! Mix pastels with a pop of neon pink, try glitter papers or make two tone paper geodes as we have here. 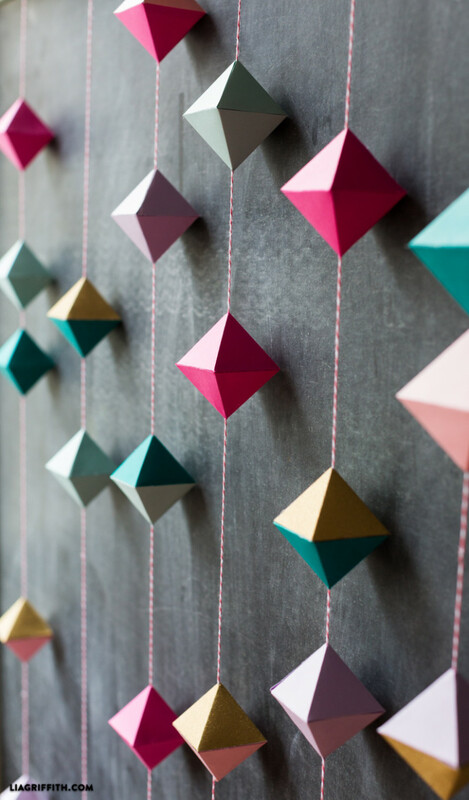 Once your pattern is cut you can begin to score the lines and assemble each paper geode with a hot glue gun. We recommend a hot glue gun because it holds so well and makes “crafting” a whole bunch easier, but if you only have craft glue to hand then that will work too. I had a question regarding the connection of the two portions of the geode… Are you supposed to attach the tabs to one another or to the side that does not have a tab? If so, what is the best way to do the forth tab? Hi Kelly! I glue the tabs to the sides that don’t have tabs. I like using hot glue so I’m able to get the fourth tab to close easier without pressing down and smashing the shape. I leave a very small hole at the end to slide my pinky through to hold the tab while it’s being glued. your blog and will come back very soon. I want to encourage one to continue your great job, have a nice holiday weekend!